The best receipt scanner app makes it easy to scan receipts with any mobile device. Having the ability to transcribe key data and record the information without manual data entry will save you time, and best of all, you can toss those paper receipts. We looked at a dozen products and six made the final cut. With QuickBooks Self-Employed you can can scan your receipts and seamlessly integrate your documents into your existing QuickBooks account. With their tax bundle option, you can even file your taxes straight through the app. Try QuickBooks free for 30-days. Expensify (Best Overall) Businesses needing a receipt app with a fully-featured expense reimbursement workflow. Neat Business owners who use TurboTax or H&R Block tax software to do their taxes. Receipts by Wave SMB looking for a free receipt scanner packed with lots of features. Shoeboxed SMBs with TONS of receipts to scan and very little time to do it. ReceiptBank Accountants and tax pros who provide bookkeeping and tax services. Genius Scan SMBs and sole props needing a simple solution to scan and organize receipts. We looked at over a dozen receipt scanner apps, comparing/contrasting them on cost, features, user friendliness, customer support available and customer reviews about the product. In addition, we downloaded each app and took it for a test drive. Transcribes receipts – Includes technology that will read the data and record it without manual data entry. Compatible to most mobile devices – Must be compatible with both iOS and Android devices. Integrates with accounting software – Must integrate with accounting software like QuickBooks and Xero so financial statements are always up to-date. Cost – Must be affordable for both small and large businesses. Setup/Ease of Use – Set up time should be minimal and the app should be easy to use. Based on the above criteria and the time we invested in learning how each product performed, we recommend Expensify as the best receipt scanner app for small businesses. In addition to meeting our basic criteria, Expensify also includes a robust expense reimbursement tool. At a starting price of $5/active user per month, it is also the most economical paid plan on our list. Expensify not only can transcribe receipts, integrate with accounting software and is affordable for most SMBs, it goes beyond that by including an end-to-end employee reimbursement tool. Employees can scan receipts, create expense reports and submit them for approval all within Expensify! Once approved, payment will be scheduled via direct deposit or paper check. On top of including the minimum features, Expensify has robust expense report capabilities. As a result, there are a number of “bonus” features you won’t find in Receipts by Wave, Genius Scan and Neat, in addition to the fact that it is more affordable than Neat, Shoeboxed and ReceiptBank. The Expensify Team plan is ideal for startups, nonprofits and churches. It is the most budget-friendly at $5 per month for each active user ($60/year for each active user). The Expensify Corporate plan is ideal for businesses with less than 1,000 employees. It is the mid-tier plan at $9 per month for each active user ($108/year for each active user), and is $48/year more than the Team plan. For the extra expense, Expensify Corporate includes all of the features in the Team plan plus a few additional features. The Expensify Enterprise plan is the top tier plan and it is ideal for businesses with at least 1,000 employees. You will have to contact Expensify directly to get a custom quote for this plan. Expensify Enterprise includes all of the features included in the Corporate plan plus one additional feature—a dedicated success coach. The dedicated success coach is responsible for making sure your organization gets set up properly on Expensify. Unlike the Team and Corporate plans, you have a live person that you can contact who can help address any issues that you may have. Out of our list of five minimum criteria, Expensify not only met but exceeded the list by including robust expense reimbursement features that allow employees to submit expense reports, an advanced approval workflow and the ability to match receipts with credit card charges for easy reconciliation. Similar to every product on our list except for Genius Scan, Expensify has built-in OCR technology that will take the information from your receipts and transcribe it, automatically populating merchant, date, amount and sales tax fields in the program for you. Similar to its competitors, Expensify is compatible with all iOS and Android devices. This includes, but is not limited to, cell phones, tablets and laptop computers. Like its competitors, Expensify integrates with some of the most popular accounting software programs on the market, like QuickBooks, Xero, Sage Intacct and NetSuite, to name a few. You can easily sync all of your expenses with these programs to ensure your financials are always up to date. When it comes to cost, Expensify is the most affordable paid product that we looked at. It has a starting cost of $5/user versus $7.99/user for Neat, $15 for the Shoeboxed single user plan and $14.99 for the ReceiptBank single user plan. The Expensify app is easy to use and very intuitive. It only takes a few minutes to download the app and start scanning receipts. You can easily scan receipts using your mobile device or email receipts and invoices to your personal Expensify inbox for processing. Similar to Receipts by Wave, Genius Scan and ReceiptBank, Expensify does not have live customer support unless you purchase the Enterprise plan, which includes a success coach. If you get stuck and you need help, you will have to refer to their FAQ section or submit a support ticket via the Help menu within the app. You may have to wait up to 24 hours for a response. The reviews for Expensify are mixed. On the positive side, customers like the integration with QuickBooks. They also like how easy it is to navigate and use the app. On the negative side, the lack of good customer service was a common theme. Customers don’t like that they can’t speak to a live person when they have an issue that needs to be resolved as soon as possible. Head over to the Expensify website to sign up for a 30-day free trial so that you can try all of the cool features that we have shared with you. At the end of the trial period, if you decide to continue using Expensify, you will need to sign up for a paid subscription. We recommend Neat for any business that prepares its own tax return using TurboTax or H&R Block Tax software. Neat has built-in technology that will group your expenses based on categorizations set by the IRS, and it will allow you to export your data directly to TurboTax and H&R Block Tax. Neat has three pricing plans starting at $7.99 per month. All three plans allow you to scan an unlimited number of receipts, create expense reports and export your data to popular tax software like TurboTax. With the two top tier plans, Neat also has an actual person verify that all of the data from your receipts were transcribed correctly; human verification is not offered by any other competitor on our list. Accounting software integrations are missing; this plan does not integrate with any accounting software, such as products like QuickBooks or Xero. Human verification (NeatVerify), which includes a human verifying that the information transcribed from the receipt is correct. The collaboration tool, which allows you to share your documents with your team and those outside of your company, like your bookkeeper or CPA. If you prefer a plan that does include these features, check out Neat Premium. The Neat Business plan is the top tier plan at $24.99/month ($299.88/year), which is $204/year more than the Lite plan and $108.12/year more than the Premium plan! This plan is ideal for a business owner who has no more than four employees or contractors who need to upload receipts with the app. With the exception of Genius Scan, Neat is similar to the other competitors in that it has smart technology that transcribes key information, like amount, merchant and date, and records it for you. Unlike its competitors, Neat takes this a step further and has an actual human verify the transcribed data for customers who are on the Premium and Business plans. Like its competitors, Neat is compatible with all iOS and Android devices. This includes, but is not limited to, cell phones, tablets and laptop computers. One downside to Neat is that it does not offer integration with accounting software for their most budget-friendly plan, Neat Lite. However, accounting integrations are included in the Premium and Business plans, some of which include QuickBooks Online, Xero and Sage Intacct. Neat comes in as the second most economical paid plan after Expensify. It starts at $7.99/user versus $5.99 for Expensify. It is half the cost of a single user plan for Shoeboxed ($14.99) and the single user ReceiptBank plan ($14.99)! The Neat app is fairly easy to get up and running. It takes just a few minutes to download the app and then you can start scanning your receipts right away. Similar to its competitors, you can also email invoices and receipts to your personal Neat inbox or drag and drop documents from your computer to the Neat inbox for processing. As discussed, Neat does not offer accounting software integration with their most affordable plan (Neat Lite), which forces a business to purchase the Neat Premium plan if they want their information to seamlessly import into their accounting software. In addition, they also charge you a fee starting at $4.99/month for the integration with QuickBooks Desktop; however, there is no charge if you use QuickBooks Online. Users that gave Neat a positive review like how easy it is to set up and how user friendly the app is. On the negative side, customers say that the software has quite a few glitches and that customer support is not always helpful. Check out our Neat User reviews page for more details. Neat has so much confidence in their product that they will allow you to try it before you buy it. You can sign up for a 30-day trial of Neat Premium or Neat Business plan to see if it’s right for you. At the end of the trial period, if you want to continue using Neat to keep track of all those receipts, you will need to convert to a paid plan. Receipts by Wave is ideal for a business that needs a better way to manage receipts but doesn’t have the budget to pay for it. Wave is 100 percent free to use, whether you have one employee or 100 employees! You can also use it to keep track of multiple businesses. In addition to beating the competition on price, it integrates with Wave Accounting, which is also free. The only downside is there is no live customer support. When it comes to pricing, Receipts by Wave beats its competitors hands down. You can use the Receipts by Wave app for free—no strings. Unlike Shoeboxed and Genius Scan that have free plans with limited features unless you upgrade, there is no need to upgrade with Wave because there is only one plan and it is 100 percent free. Receipts by Wave has a few unique features that are not included in the other five competitors on our list: you can track receipts for more than one business, you are able to scan receipts even when you don’t have internet access, and you don’t have to pay to use the app. Like Expensify, Shoeboxed, Neat and ReceiptBank, Receipts by Wave uses OCR technology to extract key information such as date, merchant and amount from the scanned document and records the information for you, eliminating manual data entry! Similar to its competitors, Receipts by Wave is compatible with both iOS and Android devices. This includes, but is not limited to, cell phones, tablets and laptop computers. Unlike its competitors, Receipts by Wave only integrates with one accounting software—Wave Accounting. Wave Accounting is a free accounting software that you can manage all of your income and expenses in as well as run detailed financial reports. Similar to the Receipts by Wave app, there is no cost to use Wave Accounting and your receipts will automatically sync so that you don’t have to enter them manually. When it comes to cost, no competitor can beat Receipts by Wave. Out of the six products that we looked at, only Genius Scan offers a free plan—and unfortunately that plan does not integrate with accounting software or transcribe receipts like Receipts by Wave. Receipts by Wave is a piece of cake to set up. Just download the app and start scanning your receipts immediately. Like its competitors, you can also use your personal Wave inbox to drag and drop invoices and receipts for processing. As we mentioned previously, Receipts by Wave allows you to track receipts for more than one business. You can create unlimited businesses in the Wave app and track all of your receipts for each one, at no charge! This is not something that is offered by any of the other five competitors in our list. Like its competitors, Wave will assign a personal email inbox to you that you can forward bills and receipts to. Wave will scan the attached receipt, extract the data and automatically populate the vendor, date and amount fields for you, saving you time that would have been spent manually entering the data. If you’re in a location without an internet connection, you are still able to scan your receipts like normal with Receipts by Wave. Once you connect to the internet again, Receipts by Wave will sync automatically. Similar to Genius Scan and ReceiptBank, Receipts by Wave does not offer live customer support. If you get stuck and you need help, you can submit a support ticket directly from the app. The average response time is about 24 hours. However, there is also a help database that includes frequently asked questions and support articles that might contain the answer to your question. Overall, user reviews are positive for Receipts by Wave. Customers like that they no longer have to keep track of paper receipts and the amount of time they save during tax time by having all of their receipts sync with their accounting software. 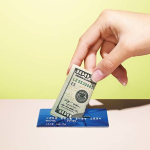 However, a few customers don’t like that the software does not automatically match scanned receipts with transactions that have been downloaded to Wave Accounting. Currently the only way to do this is manually. However, most users feel that this is a small price to pay considering all of the other features included for free. Check out our Wave Accounting Reviews page. It should take only a few minutes to get your Receipts by Wave account set up. You can visit the website and enter your email address or cell phone number to get the app. Once you download the app on your mobile device, you need to provide a few contact details about your business and you can start scanning receipts right away! We recommend Shoeboxed for small businesses with a lot of receipts. While your CPA may no longer take your shoebox full of receipts, Shoeboxed will (literally)! Simply take that wad of receipts piling up on your desk, stick them in a Shoeboxed envelope and drop them in the mail, or you can use the app to scan them. Shoeboxed has three pricing plans between $15 and $69 per month. The pricing plans vary in the number of users included, the number of receipts you can scan and the system integrations available. The Shoeboxed Lite plan is $15 per month ($180/year); it is ideal for a business that pays most of its expenses via online banking and does not accumulate a lot of paper receipts. The Shoeboxed Classic plan is $39 per month ($468/year) and it is ideal for a business that has between 51 and 150 receipts that need to be processed each month. The Classic plan includes all of the features included in the Lite plan plus a few more. The Shoeboxed Business plan is $69 per month ($828/year), which is almost twice as much as the Classic plan! This plan is ideal for a business that has a ton of paper receipts that need to be processed. The only difference between this plan and the Classic Plan is you can process up to 500 receipts each month with this plan versus 150 receipts in the Classic plan. Similar to Wave, Expensify, Neat and Receipt Bank, Shoeboxed not only met but exceeded our criteria. It is the only company on our list that will actually take your paper receipts and scan them for you. This is one of the reasons why Shoeboxed is the priciest product on our list. Similar to its competitors, Shoeboxed has built-in technology that will transcribe receipts for you. However, Shoeboxed takes this a step further than anyone else because they will do the scanning for you! You can take those stacks of receipts and just drop them in the mail for Shoeboxed to process for you. Similar to its competitors, Shoeboxed is compatible with both iOS and Android devices. This includes but is not limited to cell phones, tablets and laptop computers. Two out of the three pricing plans offered by Shoeboxed integrate with a number of accounting software products: QuickBooks Online, Wave, Xero and Bench, to name a few. Shoeboxed is by far the priciest product that made our list. The single user plan is triple the cost of Expensify for one user ($5 versus $15), not to mention that you are limited to scanning 50 documents with this plan. The mid-tier Shoeboxed plan is $39 for two users and up to 150 scanned receipts versus $10 for two users and unlimited documents with the Expensify plan! Similar to its competitors, Shoeboxed is easy to set up. Once you download the app to your mobile device, you can start scanning receipts immediately. If you prefer to let the Shoeboxed team do the scanning for you, just put those receipts in a prepaid ShoeBoxed envelope and drop them in the mail. Depending on the Shoeboxed plan you signed up for, processing time will be between two and five days. As discussed, Shoeboxed is the priciest of the other competitors that made our list. However, the high price is supported by the fact that Shoeboxed is the only product that will scan your receipts for you! The ability to take a stack of receipts, put it in an envelope and let someone take care of the rest is definitely worth the price of admission. There are a number of positive reviews online for Shoeboxed. On the positive end, users shared that being able to let someone else deal with scanning all of their receipts has improved their quality of life, and customers look forward to tax time now that they don’t have to track down paper receipts. The only negative review I found was a customer who said that the app appears to have several bugs that go unaddressed for too long. Shoeboxed allows you to try them free for 30 days before you commit to a paid subscription. You can sign up for any one of the three subscription plans—Lite, Classic or Business—to get started. At the end of the trial period, you will have to purchase a plan to continue using the service. If you are a bookkeeper or a CPA who prepares tax returns, ReceiptBank is ideal for you. 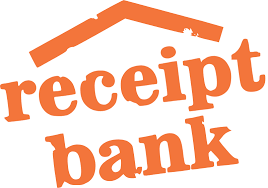 ReceiptBank will allow you to organize your client’s receipts to make doing the books or their taxes a breeze! In addition, you will gain access to their certification program, client onboarding service and 24/7 customer support. The pricing plans for ReceiptBank are broken down into two groups: single user plans and multi-user plans. For the purposes of this article, we focus on six plans (three for single users and three for multi-users); however, there are additional plans available. Single user plans start at $14.99/month to process 50 receipts, and multi-user plans start at $25.00/month to process 50 receipts. There are three ReceiptBank plans that are ideal for solopreneurs and freelancers who don’t have any employees or contractors who need to scan receipts, bills or invoices. The plans run between $14.99/month to $44.99/month and between $179.88 and $539.88 per year. ReceiptBank Inbox – Email bills, invoices and receipts to a personal inbox that will transcribe the data and record it for you. Create Expense Reports – Employees and contractors can easily create expense reports from scanned documents in just a few minutes. Export Data to Excel or CSV – Export your data to a spreadsheet or CSV file and email it to your accountant or bookkeeper. Submit double-sided receipts – Easily scan double-sided receipts or multi-page invoices to capture all relevant information for an expense. Similar to the single user plans, there are three multi-user plans ideal for small and large businesses that need to give employees and/or contractors access to scan receipts, bills or invoices. The plans run between $25/month and $55/month, which is between $300 and $660 per year; this is about 20 percent to 40 percent higher than the single user plans! The only difference between the multi-user plans and the single user plans is that you can give employees and contractors access to the app with the multi-user plans, but only one person can use the single user plans. All features included in the single user plans are also available in the multi-user plans. When compared to its competitors and our minimum criteria, ReceiptBank met every criterion but fell short when it comes to affordability. Out of all the companies we looked at, ReceiptBank was the priciest. In addition, it does not offer any more features than its competitors do. Similar to Receipts by Wave, Expensify, Shoeboxed and Neat, ReceiptBank has built-in technology to transcribe date, amount and merchant information from the receipt and record it for you. Similar to its competitors, the ReceiptBank mobile app is compatible with both iOS and Android devices. This includes, but is not limited to, cell phones, tablets and laptop computers. Like its competitors, you can sync data recorded in ReceiptBank with popular accounting software like QuickBooks Online, Xero and Sage. ReceiptBank is very similar to Shoeboxed when it comes to their pricing plans. In addition to limiting the number of users per plan, they also limit the number of receipts that can be scanned. For a single user plan, ReceiptBank will cost you $14.99 and you are limited to 50 scans, whereas Expensify will cost you $5.00 for a single user and there is no limit to the number of receipts you can scan! ReceiptBank is very user friendly and easy to set up. Similar to its competitors, it takes just a few minutes to download the app to get started. When it comes to features, ReceiptBank has got it all. However, I believe that they are going to miss out on a lot of solo practitioners because of their steep price. Unfortunately, many small business owners could not afford the pricing plans offered by ReceiptBank. There are a number of positive user reviews online for ReceiptBank. Users love how easy it is to take a picture of a receipt and sync their data with QuickBooks. Users also like how knowledgeable and helpful the customer service team is. On the flip side, customers feel that the cost is pretty steep. Similar to most of its competitors, you can try the ReceiptBank mobile app for free the first 30 days. If you decide to continue using the app after trial period, you just need to sign up for a paid plan. Genius Scan is ideal for a business that is looking for a simple receipt scanner app that will help to organize receipts in a digital format to prepare for tax time. If you have a CPA or accountant who prepares your taxes for you, you can share your receipts through Genius Scan and toss that shoebox. Genius Scan has three pricing plans starting at $0. All three plans allow you to scan, save, export or store your receipts either within the app or a cloud storage program like Dropbox, OneDrive or Google Drive. Unfortunately, Genius Scan does not transcribe receipts or integrate with any accounting software program as its competitors do. Export documents to all major cloud providers such as Box, Dropbox, Evernote, Google Drive, OneDrive and SugarSync, to name a few. Automatically export documents in the background as you create them. Access additional security features such as Face ID, Touch ID or a pin code to prevent unauthorized access to your documents. Encryption of your PDF documents so that only your recipient can read them is also available. Unlike its competitors, Genius Scan only met three out of five items on our minimum criteria list. Genius Scan does not transcribe receipts and it does not integrate with any accounting software products. However, it is still a great option for any business looking for an affordable receipt scanner that is easy to use and will help you organize that pile of receipts to make tax time a breeze. Unlike its competitors, Genius Scan does not have the technology to transcribe receipts. It simply takes a snapshot of the receipt so that you can store it electronically. You will have to manually enter this information into your accounting software, Excel spreadsheet or tax software program. Similar to its competitors, Genius Scan is compatible with both iOS and Android devices. This includes, but is not limited to, cell phones, tablets and laptop computers. Unfortunately, this is another area where Genius Scan fell short. While it integrates with several cloud storage apps, it does not integrate with any accounting software products. What this means is you will have to enter the information manually into your accounting software in order to update your financials. Out of the six products that we looked at, Genius Scan is second, right after Wave. Like Wave, it includes a free plan as well as two low-priced plans, Genius Scan+, which has a one-time fee of $7.99, and Genius Scan with Genius Cloud at only $2.99 per month! Like its competitors, it’s very easy to get up and running with Genius Scan. Once you download the app, you can start scanning your receipts right away! As discussed, Genius Scan fell short in two primary areas: it does not have the technology to transcribe receipts and it does not integrate with any accounting software. This means that you will have to either connect your bank/credit card accounts to your accounting software or manually enter expenses to ensure your financial statements stay up to date. Overall, Genius Scan has very good reviews. Users like how easy it is to use, the clarity of the scanned documents and the batch scanning feature. However, customers would like to see the OCR technology added in a future product release so that receipts can be transcribed. To get the Genius Scan app, simply head over to the Google Play store if you have an Android device or the iTunes store if you have an Apple device. You can download the app and sign up for the free Genius Scan plan to take it for a test drive. You can upgrade to the Genius Scan+ or Genius Scan with Genius Cloud plan anytime. QuickBooks Online SMBs looking for a software that goes beyond organizing receipts to tracking income and expenses. Tallie Organizations looking for a solution with built-in intelligence like duplicate expense detection to reduce fraud. Zoho Expense Businesses with less than 1,000 employees looking for an affordable, user-friendly way to track expenses. Concur Medium to large organizations looking for an app that integrates with popular retailers so expenses are recorded when purchased. TriNet Expense Small businesses that are looking for a great alternative to Expensify. QuickBooks Self-Employed Freelancers and solopreneurs looking for a way to keep track of income and expenses. 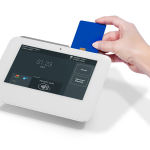 Have a question about choosing the best receipt scanner app for your business? Our analysts are standing by to answer! Selecting the right receipt scanner for your business can help you to decrease the mounds of receipts that may be piling up in your office and save you a lot of time by sharing the information with your accounting software program, like QuickBooks. With QuickBooks Self-Employed, you scan your receipts to seamlessly integrate into your existing QuickBooks account. Get 50% off for a limited time when you sign up today. I was choosing between Shoeboxed and Veryfi app. I used to think about Expensify, but after that bad story with Mechanical Turk, excluded this option. Hello, I’m the developer of Receclip, Receclip is a receipts organizer app, unlike the common apps on App Store that provides user an online service, Receclip tends to let user input the receipts by themselves, it is because we found that the time consuming for submit and verify is almost the same as manually input, so Receclip try simplify the input process, we let user define their tags, so once everything setup, what you need to input will only be the number of cost and select few tags, we realise that’s the real solution for the one who take serious to their expense. This sounds like a great app! I will definitely check it out.